Bartholomew goes to great lengths to describe the rationale behind each of the ingredients in his mixture, giving the reader a solid understanding of the importance of each and the role played by each in providing proper nourishment for the plants, for helping the soil to both drain well and retain moisture at the same time, and for keeping the soil loose, friable, and lightweight, all of which serve to make gardening with this mixture a pleasurable and rewarding experience. He also gives detailed instructions on preparing a batch of Mel’s Mix suitable for filling a raised bed. He talks about how many bags of each ingredient to use to get the right proportions and then how to ensure that the ingredients are well mixed before transferring to the raised bed. I have followed his recipe exactly as written, including the use of two people to repeatedly fold and unfold a tarp spread out in the yard. The instructions work beautifully. But what if you don’t need to fill a whole raised bed, but still want to make some Mel’s Mix? For instance, what if you only need enough to transplant some seedlings into some intermediate sized pots? Or, what if you’re trying to expand a container garden by a few pots? The steps below show what I do. I use this method to make five gallons of Mel’s Mix at a time. Before I get into the steps, I would like t emphasize that the use of compost made from diverse sources is every bit as important as if you were making a bed-sized batch. The key is to avoid using compost made from a single ingredient, such as all mushrooms or all manure, for instance. 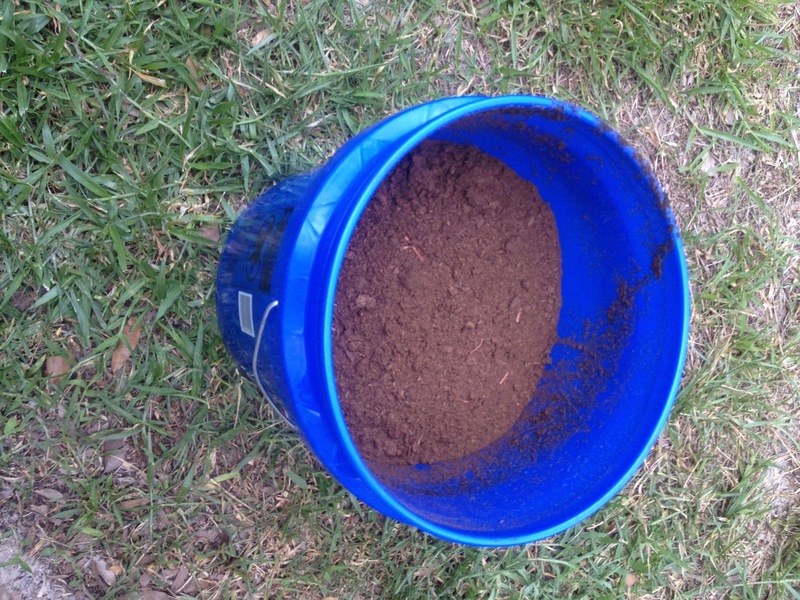 If you make your own compost, you should be fine. If you buy it commercially, Bartholomew’s advice about buying at least five different types is still sound. Otherwise, you will end up with highly imbalanced nutrients in your soil, and your plants will suffer for it. 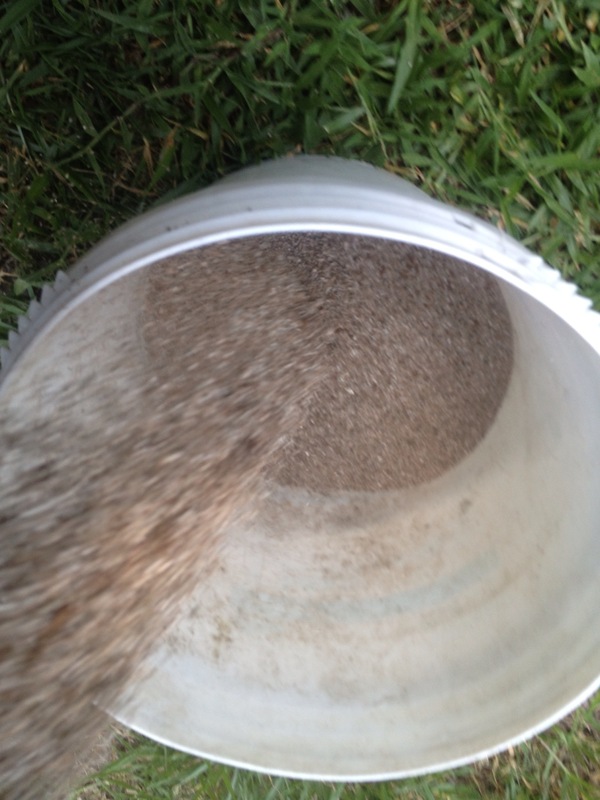 There is no easy shortcut for this if you’re buying compost from commercial sources. Having said that, the steps for making five gallons of Mel’s Mix are as follows. 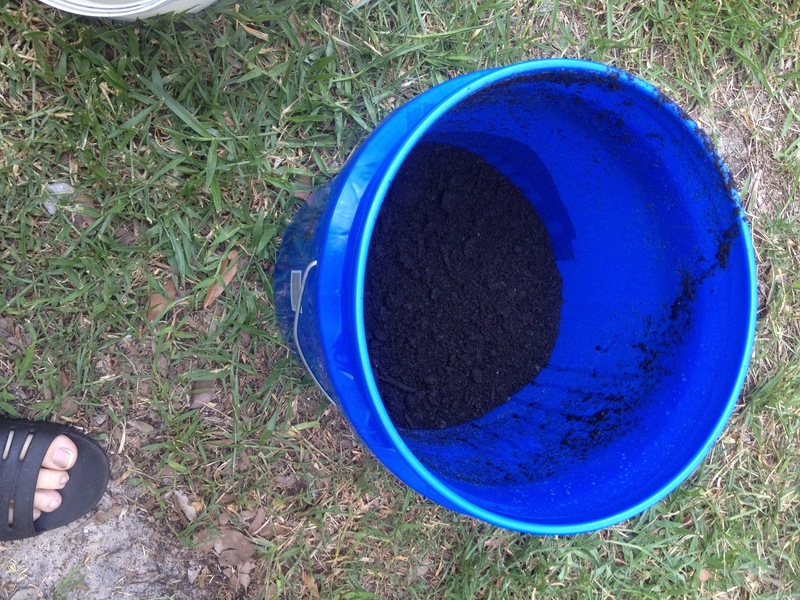 Start by filling a 5-gallon bucket one-third full of mixed compost. 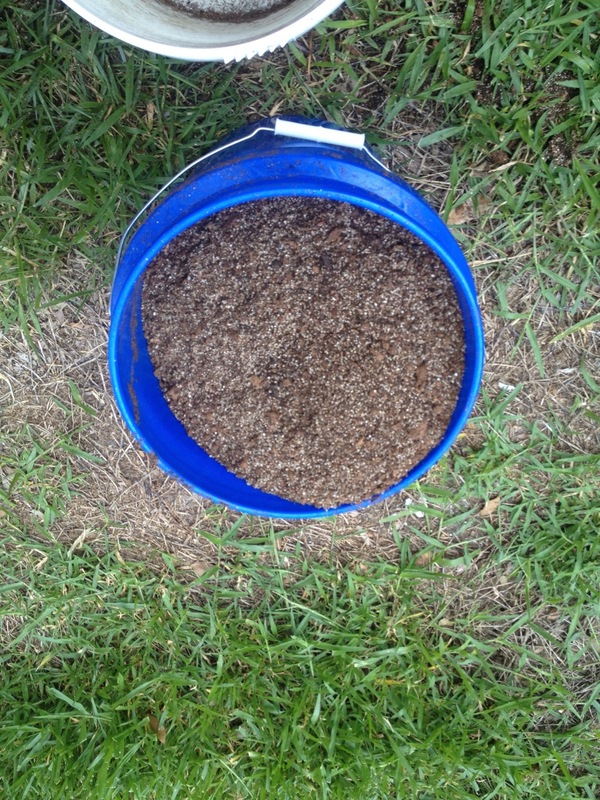 Next, add enough peat moss to fill the bucket two-thirds of the way. 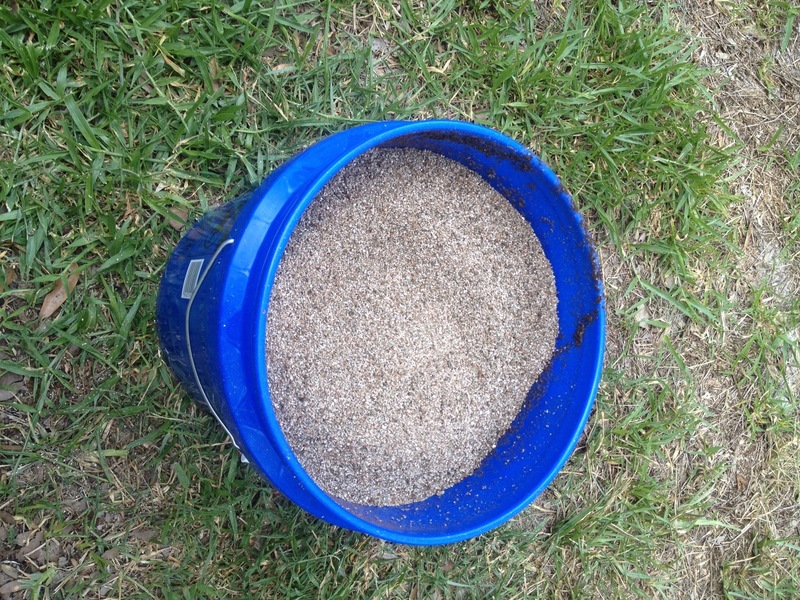 Then add enough vermiculite to fill the bucket the rest of the way. Now that the bucket is filled with the ingredients, pour the contents into a second bucket. Continue pouring back and forth between the two buckets until it takes on a uniform color and appearance. You may find that the peat moss and the compost have some clumps that need to be broken up. This is normal. Simply crumble it by hand as you encounter it. The whole process should take no more than about 10 minutes. When you’re through pouring the mixture back and forth between the two buckets, your small batch of Mel’s Mix is ready to use! It is well suited to most gardening applications. 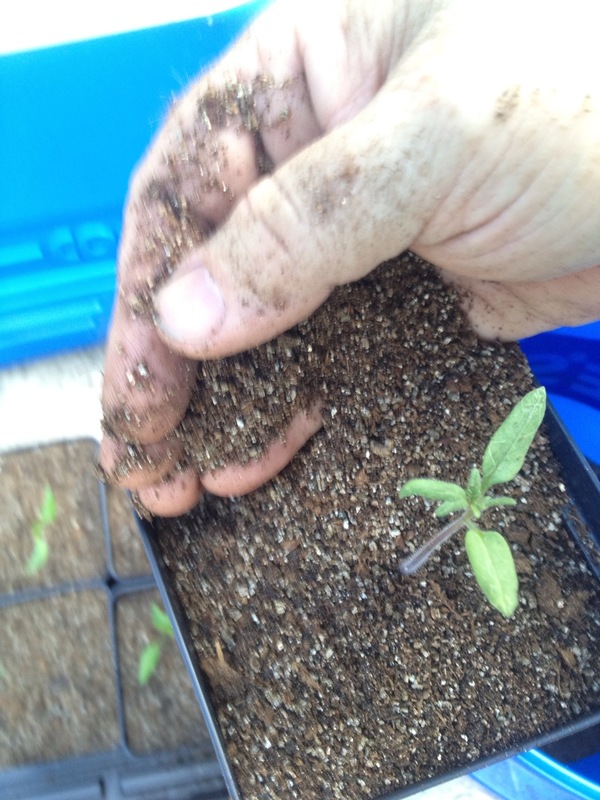 I used today’s batch to transplant some month-old tomato and pepper seedlings to their new homes in small pots, where they will spend the next several weeks getting big enough and strong enough to plant in my fall garden.